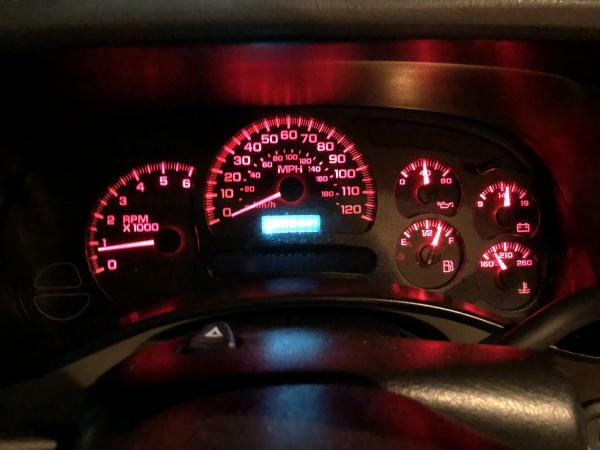 If your CHEVY GM GMC vehicle is experimenting any of these symptoms: Dead or Dim Driver Information Centers / Odometer Displays,Speedometer, Tachometer, Fuel and or other gauges sticking, not resetting to "0" on ignition off, or any other erroneous readings, We have the solution. 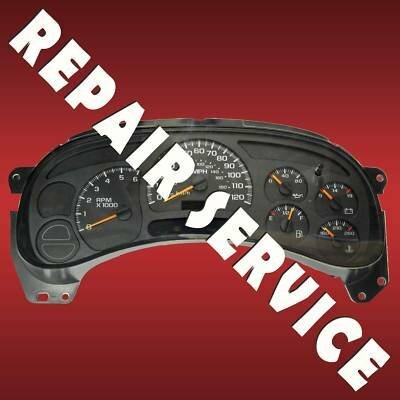 I offer CLUSTER REPAIR on most GM models starting as low as $40. Factory bulbs are also available. 2003 - 2006 SILVERADO, SIERRA, SUBURBAN, AVALANCHE, TAHOE, SIERRA, YUKON, DENALI, ESCALADE, H2 HUMMER, TOPKICK & KODIAK. 2002 - 20010 TRAILBLAZER, ENVOY, RAINIER, ASCENDER & SSR. 2000 - 2005 CAVALIER, SUNFIRE, GRAND PRIX, GRAND AM, RENDEZVOUS, IMPALA, MONTE CARLO, LESABRE, BRAVADA, VENTURE, AZTEK, MONTANA, BONNEVILLE, SIHOUETTE & RAINIER. My parts are IN STOCK. I WILL CALL YOU BACK!!!! !